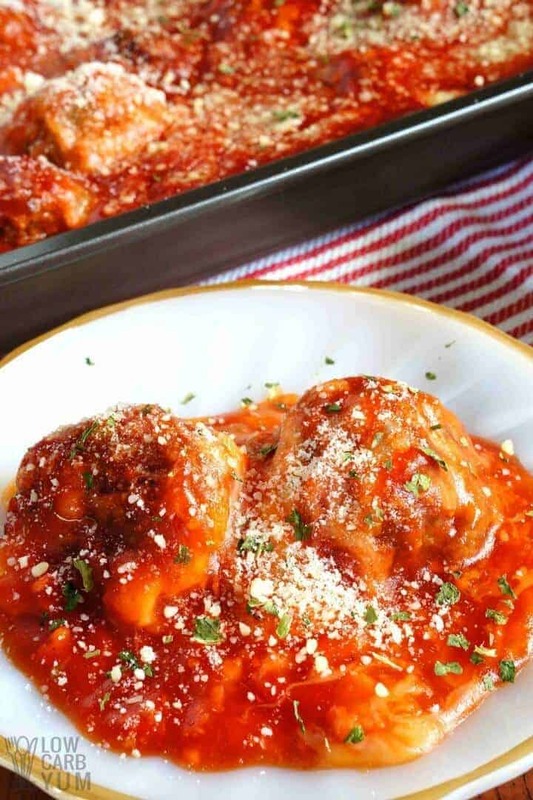 Delicious low carb meatballs are baked with marinara sauce and a mix of parmesan and mozzarella cheeses in this simple meatball parmesan casserole. We get a lot of ground venison meat from hunting season because I prefer the ground meat to steaks. This year, we had the deer meat processed into ground bacon burger, sausage, and plain burger. 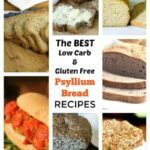 With the plain ground burger, I like to make meatloaf and meatballs. Although meatballs take a little more time to make than meatloaf, I think it’s worth the effort. Over the last week, I’ve made a couple batches of these nearly carb free meatballs to make sure the recipe was right. 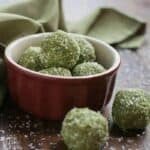 Since these keep well in the freezer, next time I’ll make a large batch so I can have some ready in the freezer for quick evening meals after work. 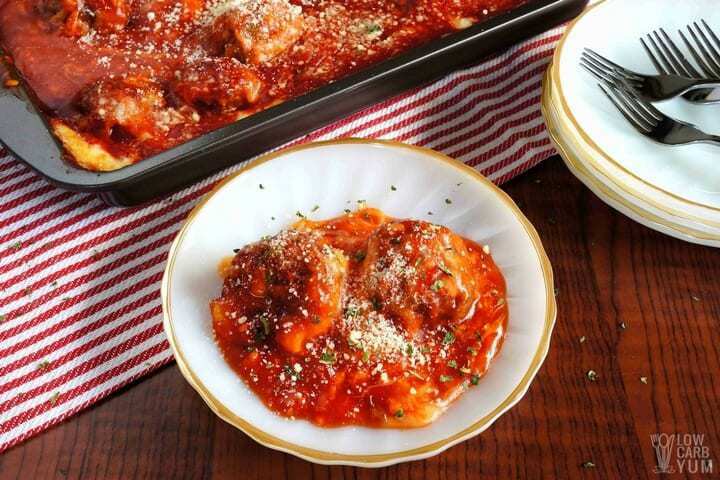 One simple dish to use these pre-made meatballs in is a meatball parmesan casserole. 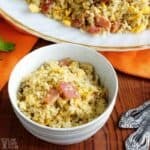 This dish can be made with homemade marinara sauce or ready made sauce in a jar. Unlike spaghetti sauce, the pre-made marinara sauces typically do not contain sugar or have very little. For the mozzarella cheese, I prefer using sliced, but the store I went to only carried shredded so I had to settle on using the pre-shredded kind. The reason I like sliced is because it usually doesn’t have any of the starchy anti-caking ingredients added which eliminates the unnecessary carbs. 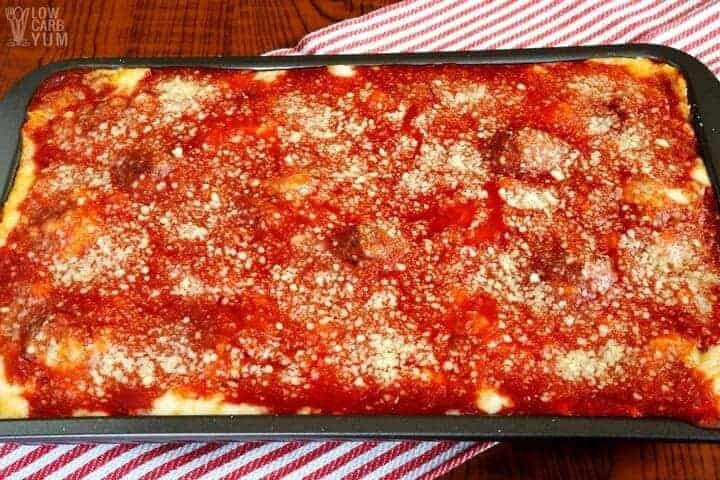 I put this meatball parmesan casserole together in my well seasoned 9×9 inch stone baking dish. 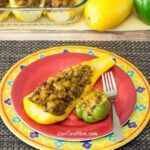 I love using the seasoned stoneware because it’s a non-stick surface that cleans up quickly. If I were making this for company, I’d probably use a pretty 1 1/2 or 2 quart casserole dish. 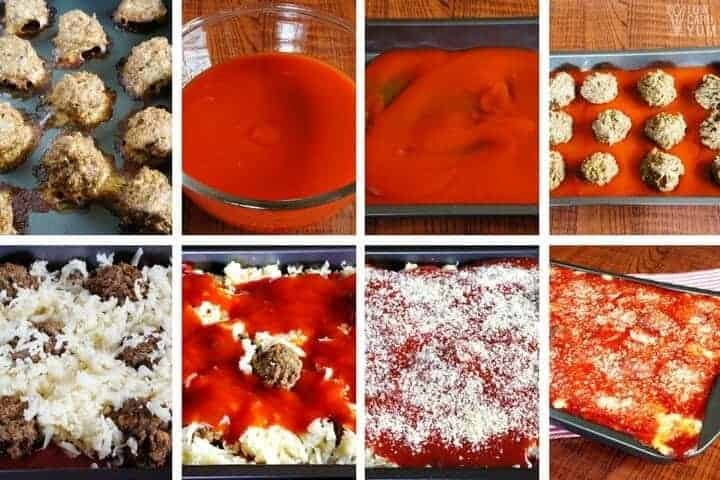 The last time I made this meatball parmesan casserole, I put the second layer of cheese on top and it was really tough to get through so this time I only sprinkled a little bit of parmesan cheese on the top and put the mozzarella under the top layer of marinara sauce. Before converting to low carb eating, spaghetti with meat sauce used to be my traditional way to use up all the ground venison meat. 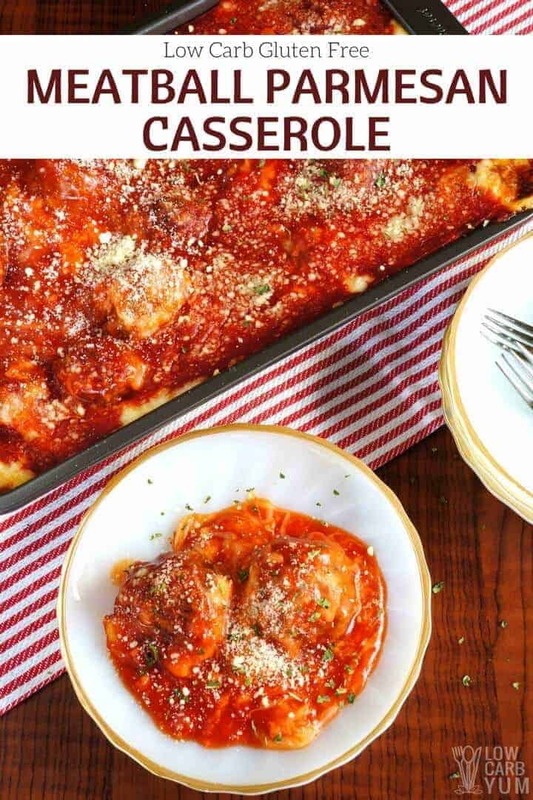 Since there really aren’t any good low carb pasta choices out there, this meatball casserole is likely to become my new dish for cooking up the venison. 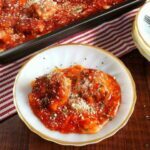 Delicious gluten free meatballs are baked with marinara sauce and a mix of parmesan and mozzarella cheeses in this simple baked dish. Pour half the marinara sauce on bottom of 1 1/2 quart baking pan. Spread half the meatballs on marinara sauce. Spread the remaining meatballs over cheese. Sprinkle remaining cheese over meatballs, reserving a small amount of parmesan for top if desired. Pour remaining marinara sauce on top.